A broadcaster who’s been doing small market news and sports for several years wants to move into sports talk radio. He wonders, though, if he can get a sports talk job without prior experience. The answer is yes. All sports talk hosts lack experience at some point. The transition, though, is going to take time. After spending the first three years of my career in McPherson, KS doing news and play-by-play, I went to work at the sports station in San Diego. I started as a sports update anchor, quickly earned regular sports talk hosting opportunities and ended-up hosting four years on ESPN Radio Network. Folks wanting to get into sports talk hosting have two options. If you lack broadcasting experience, the way to get into sports radio is off-air. Board-opping and producing are the most common entry-level positions. The board-op is the guy who turns the hosts’ mikes on and off, plays commercials and answers phones. Producers help plan shows and schedule guests. Once you’re in, the sky is the limit. Your upward mobility is going to be based upon your effort and your desire to learn and be helpful. You can go from board op, to producer to sports update anchor and reporter, to weekend host to fill-in host and then maybe your own show. If you already have broadcasting experience – you simply lack reps in sports talk – the curve is shorter because you’re entry level is higher. 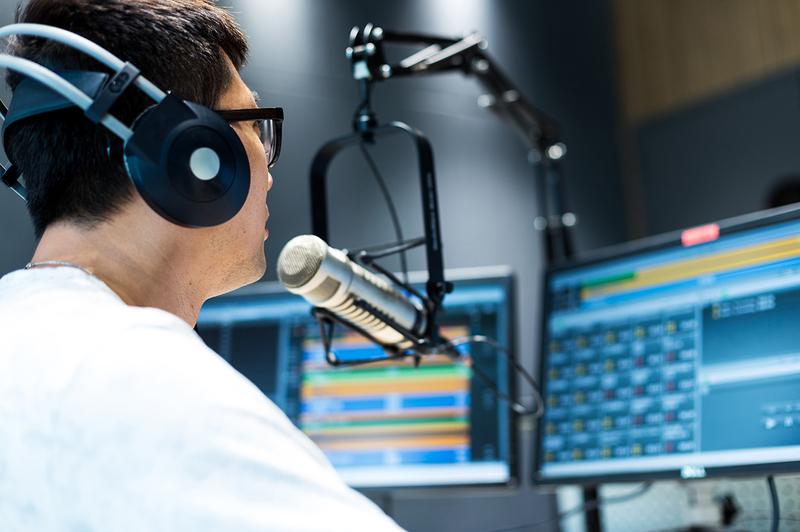 With broadcasting experience, you can enter a sports radio station as an update anchor and/or reporter. Again, you work your way up to larger roles. The path can be long. If you stick with it, though, it will take you where you want to go. Hi Jon, me again! Great article. I recently got an internship with ESPN Radio here in Panama City, Fl. They told me that I would be learning the operating board. They also informed me that they will be starting an afternoon show soon and that I could potentially be the board op for that show. In doing a little research I became discouraged, thinking that wherever you start is where you will finish. Meaning that if you want to be on air then you don’t start behind the camera or the operating board. This article and others have shown me that isn’t true! This has made me a lot more optimistic about my internship and what it can lead to! Also, should I cut my beard? LOL. I know it seems like a weird question but when I first met with them my beard was thick, very thick. It didn’t seem to bother anything but I’m thinking that I should cut it before I start.